England and Liverpool Ladies striker Natasha Dowie has joined Australian side Melbourne Victory on loan. The 27-year-old, who scored 14 goals for the Reds this season, has agreed a two-month deal and will stay until the end of the W-League campaign. Dowie said: "I have always wanted to play abroad and experience different styles of play. I am relishing the opportunity to go out on loan." Victory are managed by former Bristol Academy boss Dave Edmondson. But they are bottom of the table after losing their opening five matches and seem unlikely to reach the play-offs, meaning their season would end in early January. 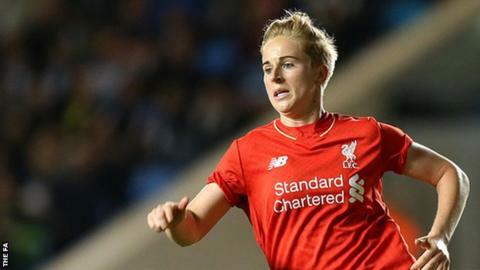 Dowie signed a new contract with Liverpool before the start of the season, but the Reds finished seventh in the eight-team Women's Super League.